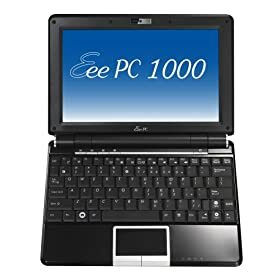 Replies To: Dream.In.Code 8th Birthday - Win 1 of 5 Asus Eee PC 1000 Netbooks! Re: Dream.In.Code 8th Birthday - Win 1 of 5 Asus Eee PC 1000 Netbooks! This Contest Has Ended - Names will be announced in the morning. During The Dream.In.Code 8th Birthday Bash! Dream.In.Code was created February 28th, 2001. Back then we were just a small web development and graphic design community. 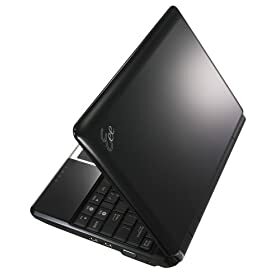 Now, 8 years later, we have over 175,000 members and to celebrate we're giving away FIVE (5) Asus Eee PC 1000 Netbooks! Yes, that's 5 of them! And there's 5 different ways to win! 5 Easy Ways to Win! Stumble us on StumbleUpon and leave a comment. Bookmark us on Del.Icio.Us and add a note. You MUST reply to this thread each time you complete an entry with a link to your twitter/facebook/linkedin/stumbupon/delicious profile! You can do all 5 things and have 5 chances to win! You must be a member of Dream.In.Code. Registration is free, no purchase necessary. Anyone may enter as long as your local laws allow you to participate in contests and receive the prize. You will be responsible for any taxes or fees imposed by your local government. Current Dream.In.Code team members (moderators, admins, and contract employees) are not eligible. Family members of Dream.In.Code team members are also not eligible. On March 31 at 9:00PM MST we'll draw the names of 5 random people: 1 random person that followed @dreamincode and tweeted about us on Twitter, 1 random person that fanned our page on facebook and wrote on our wall, 1 random person that joined our LinkedIn group and replied to the birthday discussion, 1 random person that Stumbled DreamInCode.net and left a comment, and 1 random person that bookmarked DreamInCode.net and left a note on Del.Icio.Us. If you already followed/fanned/joined us on Twitter/Facebook/LinkedIn, just tweet/write on our wall/reply to the discussion. Make sure you reply to THIS thread after each entry with a link to your social networking profile! 1. NO PURCHASE NECESSARY. The contest is open to all registered members of www.DreamInCode.net. 4. This contest begins Saturday, February 28 2009 and ends March 31, 2009 @ 9:00PM MST. Odds of winning will be determined by the total number of entries received. 6. Representatives of MEDIAGROUPONE/DREAM.IN.CODE will randomly select 1 winner from Twitter. 1 winner form Facebook. 1 winner from Stumbleupon. 1 winner from Delicious. And 1 winner from LinkedIn. If MEDIAGROUPONE/DREAM.IN.CODE is unable to locate a given winner, an alternate winner will be selected. The winner will be notified by email. Allow approximately 5-10 weeks for delivery of the prize. I need links to your social networking profile when you complete each entry so I can verify. On a sad note, I guess I can't win! I don't see anything saying alumni aren't eligible. Happy Birthday DIC! I'm so happy a found you guys.